The Wireless router I have at home (in the master bedroom) doesn't reach the all corners of the apartment - mainly the kitchen and the living room. I'm thinking of getting a Repeater / Range Extender to combat the problem. I'll be reading up, but any one have any experience/knowledge of these first-hand, and advise tips? Recommendations on devices? 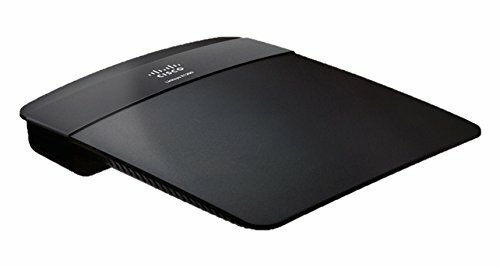 I need this this as well, coz currently I am using 2 routers one which runs upstairs and another which runs downstairs and two separate connections. At times the channels interfere and all goes down so people have recommended getting Range Extenders but I dont know if they really work. Maybe Ozzy can help guide us. Oh hai there. My eldest brother uses a Linksys RE Range Extender that works beautifully, and we've used a similar model at one of the places I worked in. For best compatibility, invest in a brand that's the same as your router, which I'm assuming is a Linksys? If so, the Linksys RE1000 is a great budget range extender. Setup is extremely easy, especially if it's the same brand as your main router since it reduces the chances of incompatibility. It would help if you could share the model numbers of your routers. Mine is the Cisco Linksys E1200 Wireless-N300. These models have a crappy range. Fizz has the E1700, and I used to have an E900, and then 'upgraded' to an E1500. I now have a EA4200v1 since EA4200v2 doesn't support custom firmwares such as DDWRT. The RE1000 model is perfect for you! Thanks man. I'll get one, and report back once I have it set up and used it a bit. I'll order it on the 25th October from Souq, since they'll be running a discount then. A 10% discount on Souq.com is now active, on using any EmiratesNBD card for purchases. Offer valid 22-31 Oct. I've ordered the Range Extender (and some other stuff!). I made the mistake of ordering from a 3rd party vendor -- I was sent the wrong model. I've returned it. I'll buy the new one soon and report once it is had and set up. So, I got the RE4100W N600. I plugged it into a power socket in the Living Room (Router is in the bedroom) -- connected to the router via the phone, took 2 minutes to configure. The WiFi signal in that end of the house is now as strong as it is in the bedroom - Excellent strength, good speed. Loving it! So, I've abandoned the Repeater. In just a few months, it started giving me issues -- it required rebooting too often since it would heat up from constantly being switched on. The bandwidth also dropped to 5-6Mbps for the area covered by the Repeater on my 12Mbps connection. Mainly, Youtube and Netflix would regularly drop the video quality for lack of speed. I've come up with a different solution, which I was told by Etislut in a round-about way. I called to ask if they can activate an additional socket in my house to add a secondary router, and if it would cause issued with my first router. Their solution: the socket does not require activation, etc. A technician will come with a new router, and set it up as a "wireless bridge". Basically, the new router connects to the old router wirelessly (instead of to the wall via cable), and provides full internet access and speed wherever it is placed. When I told the Etislut person I have a spare old router, they said I can use the same and they will configure it for a fee. I asked if I can configure it myself, they said I can if I know how to. I installed a custom firmware (DD-WRT) on the old router and used the instructions from their wiki to setup the wireless bridge (link). Took me a good 2hrs, but I'm done. And now I have two internet access points at home, both at full bandwidth, and on devices designed to be switched on for long periods! That's awesome news! Is this a known issue with this extender model? Not that I know of, but Sammy told me that Repeaters propagate a dampened signal anyway -- that is just what they do by the definition of what they are. Routers on the other hand, are built to emit a strong signal. When I found out my old router did not have "Bridge" settings, he gave me the idea to install a custom firmware on it that will let me setup the wireless bridge.